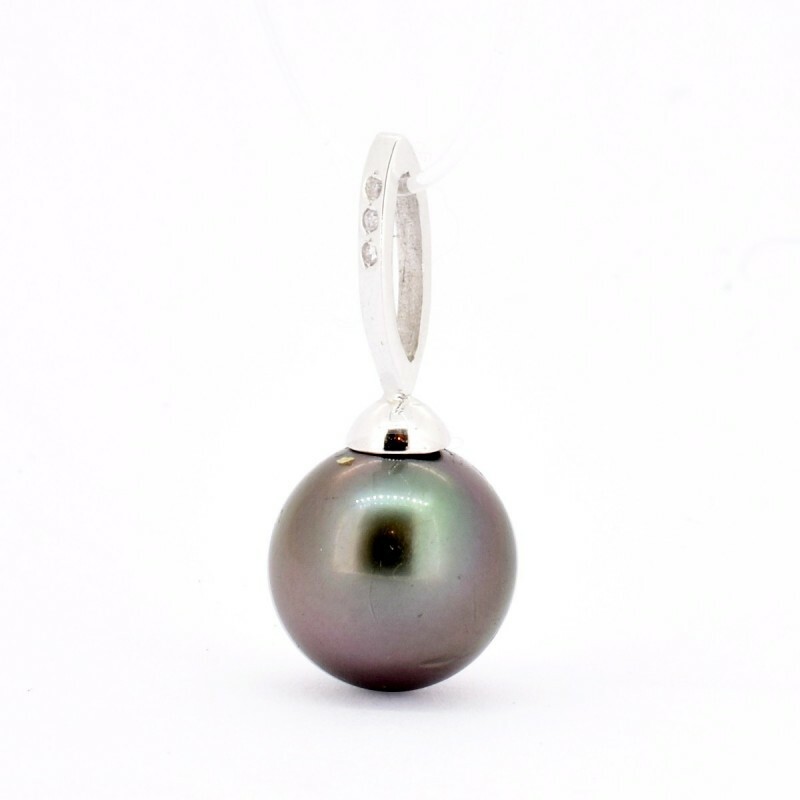 Eve 18 carats gold pendant with a Tahitian cultured pearl. With a choice in the pearl's nuance and size, with or without a gold chain and even the choice between traditional 18K white gold or leather necklace with silver claps for the pendant, you choose your perfect pendant. All our jewelryis delivered in an individual jewelry box along with a GIA authenticity certificate. By buying this product you can collect up to 41 loyalty points. Your cart will total 41 points that can be converted into a voucher of 11 €. All our jewelry is delivered in an individual jewelry box along with a GIA authenticity certificate.